Friday night: now with potluck! A brief addendum to the post about this week’s Torah portion, commentaries, and Shabbat plans: on Friday, before our Kabbalat Shabbat (“Welcoming Shabbat”) services, we’ll begin with a potluck dinner. The potluck dinner will be at 6pm, and the service will follow, probably around 6:40 or so. Please RSVP to the office or to Steven Green, chair of our spiritual life committee (stevengreenlawoffice at gmail dot com), so we know how many chairs and tables to set up. Shavua tov! Looking forward to Shabbat Bechukotai. Shavua tov– a good week to you! Join us this coming Shabbat for services led by Rabbi Rachel. This Friday (June 3) is a First Friday, so we’ll gather for Kabbalat Shabbat services at 6pm. On Saturday morning we will read from parashat Bechukotai. And here’s the URJ’s compilation of commentaries on this week’s Torah portion: Bechukotai at the URJ. As we move from Pesach to Shavuot, we enter deeper into the journey of counting the Omer — the days which connect our festival of liberation with our festival of revelation. Shavua tov– a good week to you! Join us this coming Shabbat morning for services led by Rabbi Rachel, during which we will call Gabe Schoenbaum to the Torah as a bar mitzvah. And here’s the URJ’s compilation of commentaries on this week’s Torah portion: Behar at the URJ. 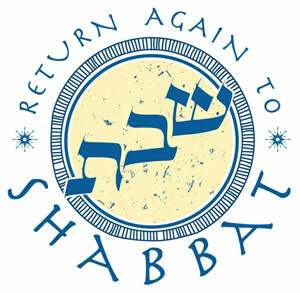 I am looking forward to being back with the CBI community on Shabbat morning, May 21. I will once again lead a contemplative service with movement. Please bring your yoga mat if you have one, and wear clothes in which you will be comfortable to move. If it’s warm enough and people agree, we will pray outdoors. What you can expect: freedom to move in any way that makes sense to you and that feels good in your body, plus some suggestions for movement; chant; a contemplative approach to the parshah; Amidah and Mourners Kaddish. I look forward to praying with you. And here’s the URJ’s compilation of commentaries on this week’s Torah portion: Emor at the URJ. Each year, the Forward solicits nominations from the public for their Most Inspiring Rabbis list. This year they received 350 nominations, and chose 32 rabbis for this national honor. Our own Rabbi Rachel was one of those 32! Congratulations to Rabbi Rachel. Read all about it: America’s Most Inspiring Rabbis 2016. Shavua tov! Looking forward to Shabbat K’doshim. And here’s the URJ’s compilation of commentaries on this week’s Torah portion: K’doshim at the URJ.